Parki beach is almost 120 kilometers long and is one of the most attractive places to visit that is comparatively less crowded, less spoilt and easy to reach place in Bangladesh. Along with its natural beauty, it has some of the most haunting stories that are being speeded around for years and years. Here we are going to discuss about some of the most famous one according to our research on public opinion and witness. Many people use to come and visit the Parki beach including both local and outsiders. For particular seasons of the year, some of the visitors claim that, while visiting through the beach, some of them had heard mysterious footsteps noises on the beach. Also, some other had heard screaming noises and eeriest sounds near them at the beach. Eventually, some of the visitors and local people got curious about the noises and tried to follow them. But hardly can they find the source of the noise, whereas the noise kept going on. Sometimes, the source of the noise was pretended to be on the water, sometimes near the adjacent forest. One of the witnesses, who were a couple, explained their experience during the walk through the Parki beach. They were having a evening walk through the beach for several times and sometimes both of them felt that they are being watched by some unreal beings from behind. No matter, wherever they go, that weird feelings followed them until they come back their place. Similar experience had been explained by some other people nearby from the locality. Another popular tale regarding haunted PArki beah had also been flying around among the local people as well as among the visitors and tourists. This is about a ghost of an old died sailor of the sea. He had been witnessed several times by the tourists and the local people. 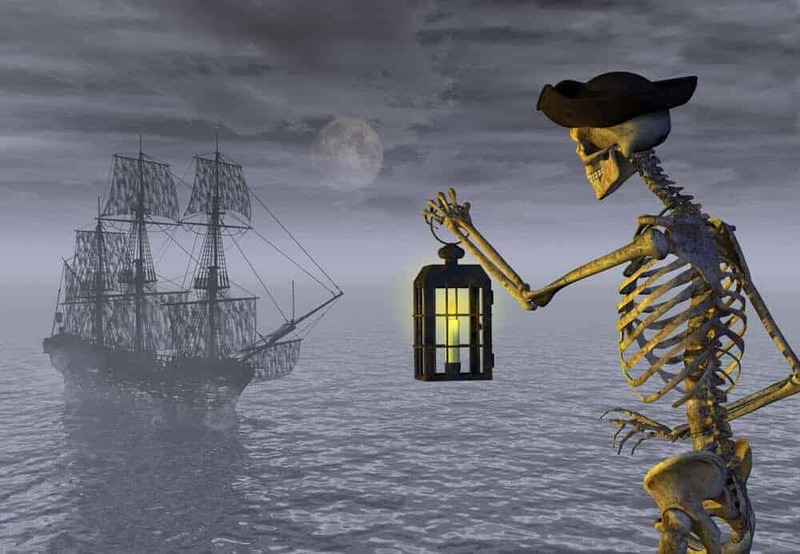 As it is described from the local men, sometimes some of the visitors of the beach had seen an old sailor with his boat at the middle of the deep sea. Again, some other people had seen a number of sailors riding on their own boats and trying to go far away from the sea. Specially, the number of witnesses of the second incident is way more and the local people hardly believe that there were some number of sailors that died years ago due to an cyclone while trying hard to sail the boat at the sea shore. But their failed attempt to sail the boat and accidental death of them turned them into unsatisfied souls that still try to sail their own boats onto the sea. No harmful incidents took place in this story I have described, bit still this had been an unsolved mystery to the people of Parki beach. Both of the stories have mere rumored proof of being experienced. Although, many of the people had claimed to witness these incidents by themselves. Even, some of them have claimed to with both of the occurrences front of their own eyes. But rather than these hearings and rumors, this can’t be explained with any scientific logic. Some students, who were visiting for a tour at parki beach, mentioned that “The haunted stories of Parki beach pretend to be a local rumor which had been quite popular and talk of the town for years. That’s why people pretend to believe whatever they hear or see. In an open environment like parki beach, there can be any kind of hallucinations and misconceptions, even for all at a time.” Anyways, no matter what, if you are an adventure-lover, you should be visiting parki beach at least once a year to visualize both of the natural beauty and haunted terror of the wide ocean.